First, I apologize for not posting photos of the wines but with the need "improved" Google format, they say you can upload your photos from an Android phone or an iPhone. I have an iPhone. Google doesn't like iPhones so it's impossible (for a non-tech person like myself) to get an app that assists. Anyway, the hot tip is for Earthstone Chardonnay for $3.99 a bottle! This was originally bottled by Rodney Strong, yes, Rodney Strong for a TJ competitor but they're pricing didn't work and the program collapsed. In comes TJ's to the rescue! We bought it all. It normally sells for $13 a bottle but you can get it starting today for $3.99 a bottle. I went to our store and tasted it....bought a case! By the way, it's only available to CA stores so sorry about the rest of the country and all my follower in Hungary. Of course, in Hungary, they don't have a Trader Joe's, Maybe a Trader Jozsef...? Hey readers! I've been waiting for some really good wines at good prices and now there's three different ones that I'd suggest you try. First, Trader Joe's Reserve GSM, obviously a blend of Grenache, Syrah, and Mourvdre. It has some real kick and texture. The fruit comes through with a little bit of smoke. At $9.99 a bottle, this wine is a real bargain It's the Reserve with the white label. Secondly, under the TJ's "Petit" Reserve label, check out the Semillon for $6.99 a bottle. It's very good with a touch of grapefruit. Nice with some shrimp or scallops. Lastly, under the same "Petit" Reserve label, I found the Gewürztraminer to be quite a surprise. I generally am not a big fan of sweet wines but this wine, although sweet, was refreshing and not cloyingly sweet. Give it a try with some Thai cuisine. We paired it with a stir-fry shrimp dish and it worked really well. Also $6.99. Get thee to your local Trader Joe's and try these recommended wines. Whoa, don't know what happened with that last post but here's what was supposed to be there. We visited Kaena Winery's tasting room in Los Olivos and had a great tasting experience. Winemaker Mikael Sigouin, is making some pretty hefty wines and uses many of the Rhone varietals in his blends. Mikael grew up in Hawaii, hence, the name of his winery, Kaena, is a Hawaiian word (for something). Mikael is a great guy to talk to as he's very enthusiastic about making wines. Also of interest at the tasting room is Shea, the wine tasting room manager. She doesn't look old enough to drink but she really knows the wines. I won't bore you with what wines we drank but we liked them all! I highly recommend that you visit the tasting room. It's well worth the time. We bought several bottles and we're glad we did. Actually I will bore you with one of the wines. Kaena Hapa, Hapa is a Hawaiian word meaning part or fraction. This wine is 60% Syrah, 30% Grenache, and 10% Mourvedre. It is intensely deep in aromatics of raspberry dark cherry, and licorice and well balanced. Visited Kaena Winery's tasting room in Los Olivos and had a great tasting experience. Winemaker Mikael Sigouin, is making some pretty hefty wines and uses many of the Rhone varietals in his blends. Mikael grew up in Hawaii, hence, the name of his winery, Kaena, is a Hawaiian word (for something). Mikael is a great guy to talk to as he's very enthusiastic about making wines. Hot Wine Tips From Trader Joe's!!! 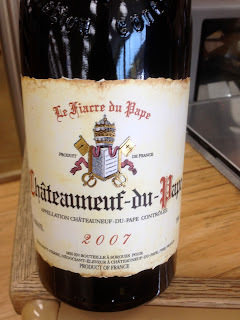 Try the 2007 Chateauneuf-du-Pape at TJ's for $18.99. I don't know where you live but here in Ventura, the cheapest...no, the LEAST expensive Chateauneuf is $36 a bottle and range up to well over $50. This wine is a steal. It's a bit softer and less earthy than most Chat's, probably because of a greater percentage of Grenache, but that's just my guess. As you know, most Chat's are a blend of Grenache, Syrah, and Mourvedre. Get to TJ's and get a few bottles of this French blend and save yourselves lots of dollars! 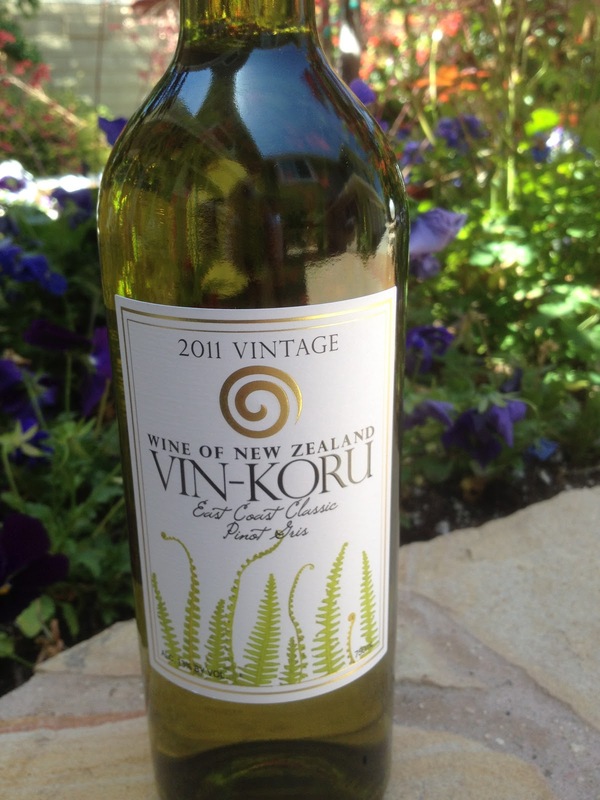 The other is a Pinot Gris from New Zealand! I didn't know that NZ was growing Pinot Gris grapes so this was a pleasant surprise, especially at $5.99 a bottle. Sheesh, did I ever appreciate this wine. Hints of apple and pear. We did a wine tasting at our store for the crew and this was the favorite white wine of the day. I brought home six bottles immediately. Not long ago, a woman came through the TJ wine section and told me she had just returned from a business trip in Beijing, China. She and her colleagues had been staying in a four-star hotel and they wanted a bottle of wine to celebrate the end of their trip. They proceeded to the hotel’s wine shop and to their amazement, the shop was selling Charles Shaw wines for $25 a bottle!!! They actually bought a bottle just so they could say that they had. Besides, the Shaw was cheaper than the French wines. I, being a curious sort, wanted to know how Charles Shaw wines could end up at a hotel in Beijing. Asking around I was told that Trader Joe’s has contracts with two countries to export Charles Shaw wines. One of those is China, hence, Charles Shaw wine in a 4-star hotel in Beijing. There have been many articles recently about the growth in popularity of wine in China. I did some reading and research and thank Wine Enthusiast for their recent April article on China wines, which was very informative. Wine is a status symbol and represents occupational and business success. Imports are from France, Australia, Italy, Spain, Chile and the United States (in that order). Unfortunately, Chinese wine is reportedly, not very good. Many of the Chinese domestic wines blend in imported bulk wines from Europe and Australia. The problem for the Chinese wine growers is climate. In the warmer areas, too much rainfall during the hot growing season translates into heavy fungicide use and the lack of sunshine impacts sugar levels, color, and flavor. In other wine growing regions, bitterly cold winters mean vines need to be buried beneath a foot or more of soil each fall and uncovered every spring. Cold, dry winters on one hand, and hot, humid summers on the other, are the “two cardinal constraints” on Chinese wine production. Well, good readers, I needed confirmation, not speculation attributed to other wine writers. I left for China and arrived on April 15 in the beautiful city of Shanghai. As fate would have it, our hotel placed a welcoming bottle of wine in our room. It was allegedly a bottle of Shiraz from Spain. Hmmm. My wife and I tasted it and gagged. It was truly awful. This was an example of bulk wine imported from a country and blended with Chinese wine. Yup, the wine writers were correct. Awful. And I flew all the way to China to verify for you, good reader. That explains $25-buck Chuck wine in China. It’s better than the domestic Chinese wines. So, the next time you pour a glass of Charles Shaw for your friends, be sure to tell them that it’s a $25 bottle of wine they’re enjoying. It’s all about location, location, location. Just like real estate. Hot Trader Joe's Wine Tip!!! Hello readers. I have a hot new wine tip at Trader Joe's. It's a "hustle buy" so get to your local TJ as fast as you can. Look for: BearBoat 2008 Pinot Gris. This Sonoma wine is crisp and acidic. Tangerine flavor and apple. And get this....$3.99 a bottle! Looks like we're going to be getting some new wines in very soon so keep checking here for hot wine tips.